A little preparation goes a long way! | CAVE Momma! I’m phasing into it slowly but surely. Note to self: keep re-reading this and CaveMomma’s shopping posts to allow it to sink in completely and permanently. I’m happy to see that it took you 6 months to switch the kids. I am still under 3 months primal myself and am finally secure enough to get the kids switched. I’ve reminded them “You won’t die without sugar. I promise!” so many times that I’m not sure I believe it anymore! LOL My oldest said “If you wanted us to eat like this, you should have started feeding us this way sooner!”. *sigh* It will get better. I love reading your blog because I relate 100%, we also make a meal plan and run to 3 different stores. 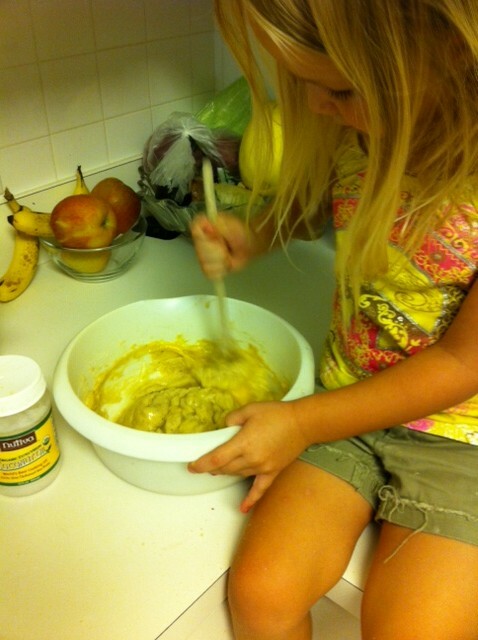 It’s nice to know I am not the only mom out there with Paleo kids! It also helps when you have your own garden to get some more fresh veggies! Great post on the prep, that may be the single most effective thing to help stay on a clean eating routine. Love this post. Our family of three (plus two cats and two dogs) is on our second month of Paleo, too, and loving it! Why didn’t we do this sooner? What surprised me the most, was just how simple the meals are to prepare. You’re right: there are multiple ways to enjoy various lean meats and veggies, and dinner is on the table in a flash. Did I mention there are fewer pots/pans/prep bowls to wash, too? Bonus! We live on a small island, so shopping choices are a bit lean. I use the Grocery IQ app for my Android phone, and check off the recurring staples that we need. Once I get to our favorite, most comprehensive store, I survey what’s on sale, what’s really fresh and in season, and what I know is already in our deep freezer at home, and come up with a meal plan outline for the week based on that. That works great for us, and our food budget has actually gone down a little bit, because we’re not consuming all those over-priced, boxed, processed yucky things anymore.